Thinking of gifts this year? Thinking of saving money and keeping healthy over this fattening period? Then look no further as Satsuma Santa is here to save you. Save £££’s by avoiding expensive plastic toys by instead looking for marrows and turnips, these make excellent imagination toys for children especially if gifted with a large carving knife to produce intricate carvings and macabre scenes. Imagine the delight on little johnny’s face as he opens his first set of three kitchen knives, he almost knows what’s coming next when he sees the long fat shape under a tree. ‘Could it be! Could it be a marrow!’ shouts Johnny, ‘Yes it could!’ you all shout back as excited as he is! Watch as Johnny plunges the knife in and slashes away at the wrapping, you sit back and smile. N.B. Carving knives are not suitable for the under 18’s, excessive knife/marrow exposure may lead to serial tendencies in later life starting with mummy and daddy. Replace fattening sweets with assorted peas, brussels and kidney beans dipped in a heart warming bovril dip, place in the fridge to harden then wrap sweet like in brightly coloured paper. The meat and veg texture will delight. For a festive addition sprinkle on cinnamon before consuming. Take one carrot of about 12-15cm and chop off the greenery at the top, choose a nice 8mm drill bit and carefully drill into the top about 3cm leaving a small hole then wrap it up. Its the gift that keeps on giving, a healthy pen topper that doesn’t mind being chewed! For sentimental gifts use extra wrapping paper and place layers of onion skins in between, the addition tears of the gift receiver will add to the overall emotional effect. Place baked potatoes wrapped in silver foil under your Christmas tree, if your festive lights fail and the resulting fire burns your house down you will have a comforting snack left in the ashes. Take one big cabbage and sellotape two large parsnips to it, one either side to simulate legs and place in an oven for two hours for a vegetarian alternative to turkey. Hollow out several watermelons of varying sizes making sure the bottom remains intact, place hole side down and arrange in a semi-circle. Use celery sticks to hit them for a pleasing drum sound. Hollow turnips make good bass sounds whilst dropping peas on a metal tray creates a cymbal ambience. The whole drum-veg kit can be dissembled in seconds for wrapping, storage or to make a pleasant soup. 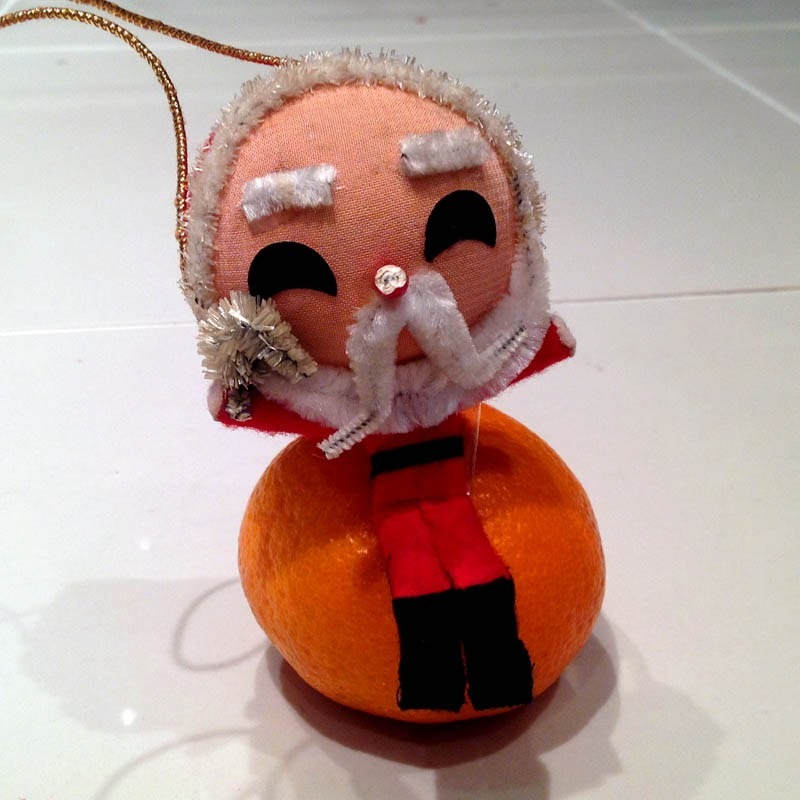 I hope this has given us inspiration to have a Satsuma Santa Christmas, more money saving tips later in the month!